Pediatric critical care fellow, DNB Pediatrics from Kanchi KamaKoti Childs trust Hospital, Chennai. 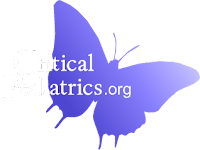 Area of interest: pediatric Intensive care and Emergency medicine. “ Fifth in the series of post, for asynchronous learning, which are actually my handpicked notes derived from Nelson Textbook of Pediatrics. The notes are divided topic-wise. The Fifth in this series is ready to go online. ADEM is an initial inflammatory, demyelinating event with multifocal neurologic deficits, typically accompanied by encephalopathy. Mean age between 5 and 8 yr with a slight male predominance. Molecular mimicry induced by infectious exposure or vaccine may trigger production of CNS autoantigens. Many patients experience a transient febrile illness in the month prior to ADEM onset. Preceding infections associated with ADEM include influenza, Epstein-Barr virus, cytomegalovirus, varicella, enterovirus, measles, mumps, rubella, herpes simplex, and Mycoplasma pneumoniae. Postvaccination ADEM has been reported following immunizations for rabies, smallpox, measles, mumps, rubella, Japanese encephalitis B, pertussis, diphtheria-polio-tetanus, and influenza. Initial symptoms of ADEM may include lethargy, fever, headache, vomiting, meningeal signs, and seizure, including status epilepticus. Encephalopathy is a hallmark of ADEM and common neurologic signs in ADEM include visual loss, cranial neuropathies, ataxia, motor and sensory deficits, plus bladder/bowel dysfunction with concurrent spinal cord demyelination. Head CT may be normal or show hypodense regions. Cranial MRI, the imaging study of choice, typically exhibits large, multifocal and sometimes confluent or tumefactive T2 lesions with variable enhancement within white and often gray matter. Serial MRI imaging 3-12 mo following ADEM shows improvement and often complete resolution of T2 abnormalities although residual gliosis may remain. There is no biologic marker for ADEM and laboratory findings can vary widely. CSF studies often exhibit pleocytosis. CSF protein can be elevated. Up to 10% of ADEM have oligoclonal bands in the CSF . Electroencephalograms (EEG) often show generalized slowing, consistent with encephalopathy. Follow-up MRI examinations 3-12 mo after ADEM should show improvement; new or enlarging T2 lesions should prompt re-evaluation for other etiologies such as MS, leukodystrophies, tumor, vasculitis, or mitochondrial, metabolic, or rheumatologic disorders. High dose intravenous steroids are commonly employed (typically methylprednisolone 20-30 mg/kg per day for 5 days with a maximum dose of 1,000 mg per day). An oral prednisone taper over 1 mo may prevent relapse. Other treatment options include intravenous immune globulin (IVIG; usually 2 g/kg administered over 2-5 days) or plasmapheresis (typically 5-7 exchanges administered every other day). Many children experience full recovery after ADEM but some are left with residual motor and/or cognitive deficits. ADEM is usually a monophasic illness but demyelinating symptoms can fluctuate for several months. Clinical and MRI features that may distinguish from first attack of MS. Multiple sclerosis, Devic's disease, Systemic lupus erythematosus, Neurosarcoidosis, SSPE Subarachnoid hemorrhage, Syphilis, CNS Lymphoma.